Bermuda grass supply requires high quality products and the best customer service. When you hire us to handle your yard sod, you can be sure that you are getting both of those. 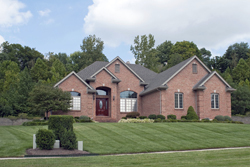 Getting the right grass on your lawn is an essential touch for your home. No matter how perfect your house is, an immaculate lawn elevates the look for your guests. As a high quality Bermuda grass supply company, we can give you that perfect green carpet. Imagine a space that is perfect for bare feet and cook outs. The added bonus is that this grass is not only beautiful, but also handles hot summers and heavy traffic very well. It provides dense mats of grass that thrive in direct sunlight and warm temperature. 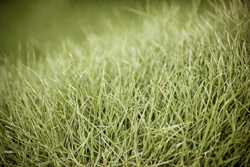 If you are looking for Bermuda grass supply for that inviting, warm yard, look no further. We are the choice for you. Schedule a free estimate with our team of experts today. Whether it is the preseason, the middle of the season, or time to patch up the field after the season, we are the call you need to make. Our ample Bermuda grass supply is the perfect choice for any sports field. This grass will stand up to the wear and tear of an entire little league season, and has the perfect green to make your little sluggers feel like they are playing in the big leagues. This same grass will hold up perfectly under the demands of a golf course, as well. Why not contact us today to see just how easy it is to get a durable, pristine yard or field. We enjoy being the top choice in grass sod. There is a certain simplicity that comes from being the best sod supply company. It allows us to focus on the details. At the end of the day, the only thing that matters is our customers’ satisfaction and the quality of the turf we deliver. As a Bermuda grass supply company, we work with the best sod farms in the business. This ensures high quality turf. Our team of courteous professionals will make sure your grass is delivered promptly. They will also work through the problems that tend to come up to make sure that you are pleased at the end of the day. See how pleasant and easy we can make this for you. For nearly two decades, we have been the choice for Bermuda grass supply. Our long standing relationships with the finest sod farms in the area ensures you get only the highest quality grasses that have been nurtured for a year and a half or more. We are registered with the Georgia Department of Agriculture. We continue provide the highest quality and lowest prices on Bermuda grass supply. Whether you are putting in the perfect home lawn, or are working for a sports league, we are the right choice to make. Call our friendly staff today to see what we can do for you. When you need Bermuda grass supply in Atlanta, Roswell, Alpharetta, Woodstock, Sandy Springs, Marietta and all nearby areas in Georgia, call us today!